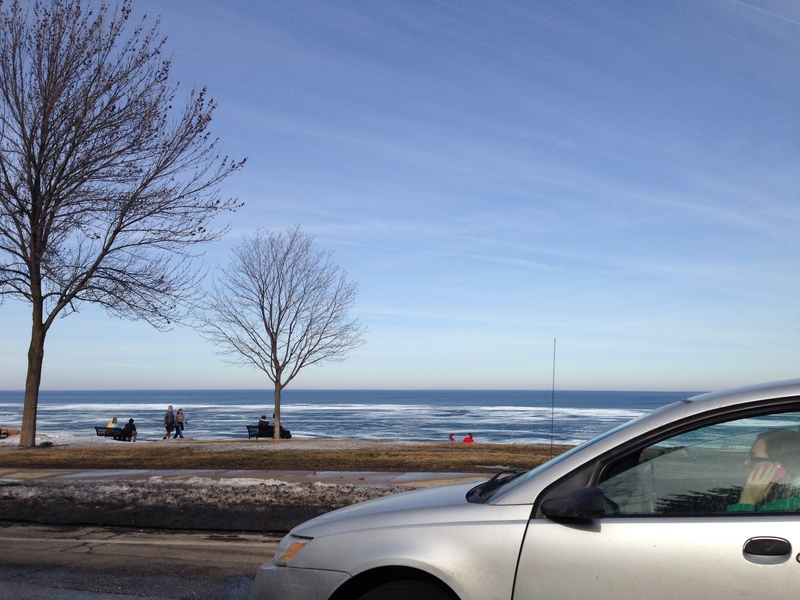 Here is body of images that I have made since the winter of 2012, looking across the road from a moving automobile at Lake Michigan. 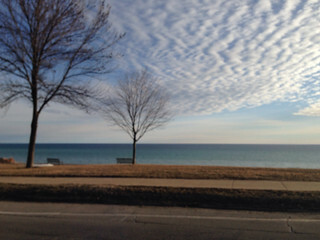 It is an attempt to become intimate with the variety of ways that the water reflects the sky, and vice versa. 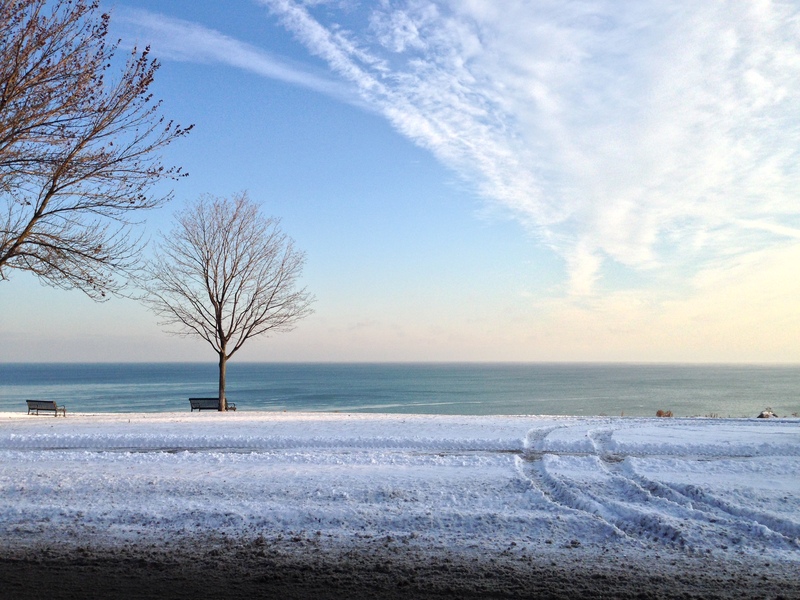 Foregrounding the quality of light and hues where the sky meets the water at a seemingly infinite horizon, is the passage of time, signified by a tree on the bluff above the water. For me, the space is both deeply spiritual and alienating—a space that I yearn to join with but cannot because I am a mortal, material creature in a car and on the move. At times, my mouth waters—my consciousness on a visceral level, suggesting that I might become one with the scene by ingesting it somehow. But alas, the scene exists for me for just for an instant, as I must draw my attention back to operating the vehicle as I drive by. It is a transitory image for me to hold only while in transit. Tree At Water (Mosaic) 18 Dec 2013. Archival Giclée Print, 15.3 x 10 in. For the 2014 Jewish Artists’ Lab Exhibition, I’ll be showing two archival prints made using several digital tools including mobile phone photography, graphic art software, and AndreaMosiac. 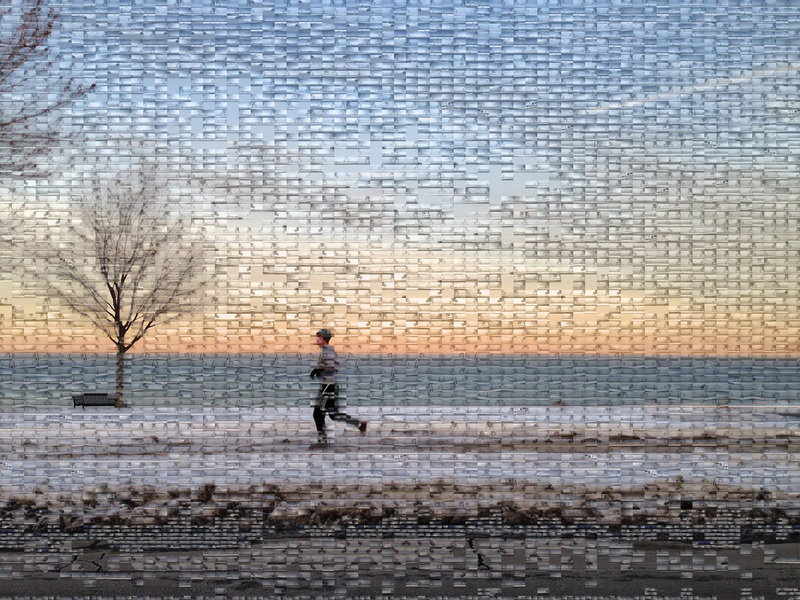 The larger image is made up from 5000 smaller images taken on different days from the preceding and subsequent years. The show opens Thursday May 29, 2014 and runs through August 18. 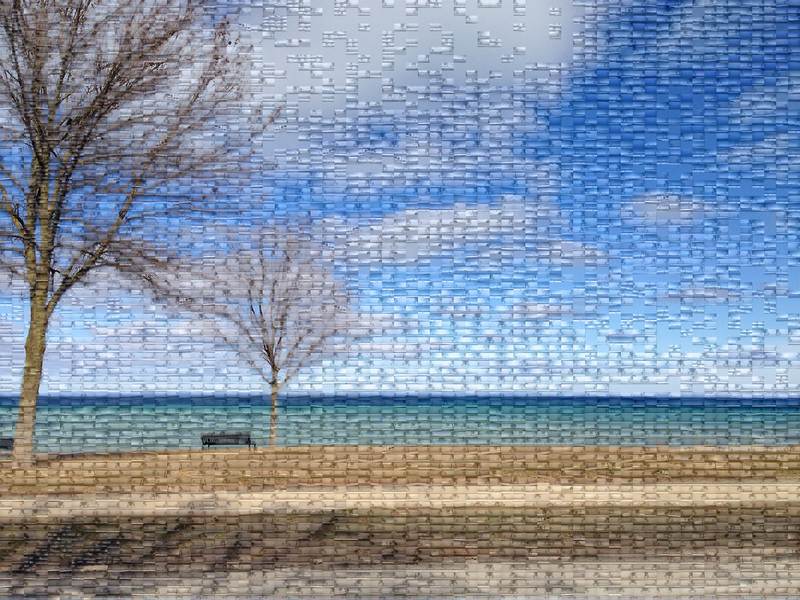 Tree At Water (Mosaic) 16 Mar 2014. Archival Giclée Print, 15.3 x 10 in. 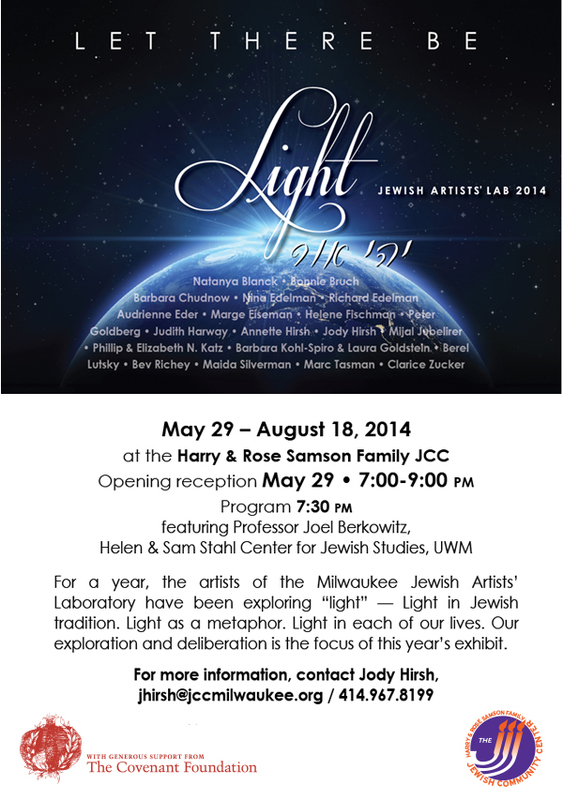 The opening reception on May 29 is from 7-9 pm with an introduction to the exhibition by Professor Joel Berkowitz, Director of the Helen and Sam Stahl Center for Jewish Studies at University of Wisconsin-Milwaukee, at 7:30pm. The theme of this year’s exhibition is Light.